Winning the second place Pinnacle Award in the photo competition was great, but more than anything, it brought with it an overwhelming amount of gratitude–to Paul Glader, Clemente Lisi, Peter Freeby, and the EST, to Jess and Bernadette, my editors, and to The King’s College Media Lab that let me rent my first camera. It’s all about loving what you do, loving people, and loving stories. It’s hard sometimes when you get busy and tired, but winning these awards reminded me how important journalism is and how beautiful it is to tell a story. This was the first story that put me entirely out of my comfort zone. Being there, being on scene, asking questions, even writing the story. Everything about it was hard, and if I’m being honest, I wasn’t very good at it. I was inexperienced, and my questions could have been more sensitive. My writing could have been more thorough. I was surprised when it was selected as a finalist for the award, because it’s not a story I look at as an accomplishment, but a learning experience that taught me how I needed to, and could, be a better journalist. People say journalism is the first draft of history. I think it’s also the first reminder to think about why any of it matters in the first place–to the reader, and the author. Best Social Media Main Page, Third Place: the EST Twitter page. This Design Pinnacle was awarded for the work of this year’s EST editor-in-chief Bernadette Berdychowski (JCS ’19) and Jessica Mathews. Berdychowski also gave credit to Peter Freeby (MCA ’15) for his advice on designing the Twitter page. Parnell’s photography was further recognized by his peers at the National College Media Convention in Louisville, Ky., held from October 25-28. His photo of a city worker cleaning up trash was voted Class Favorite. Wes Parnell’s photo of a city worker cleaning up trash was voted Class Favorite at the National College Media Convention in Louisville, Ky., held from October 25-28. Used with permission. 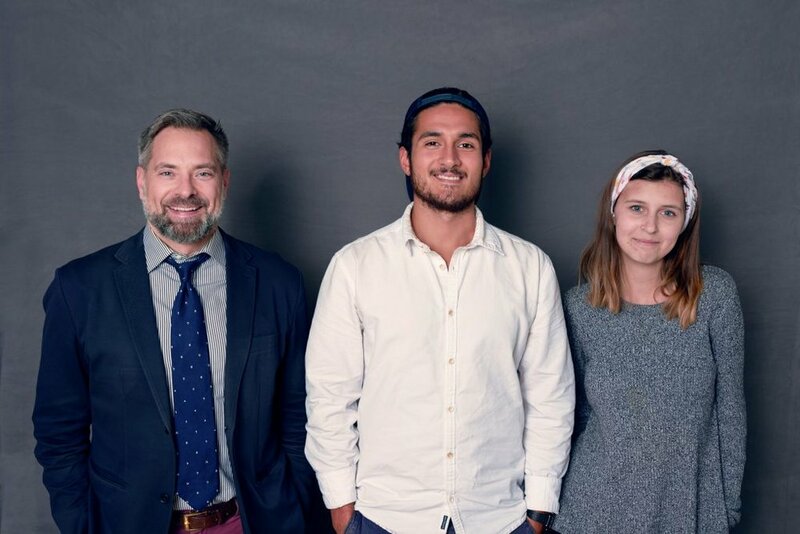 ast June, Berdychowski and Mathews were each named as finalists for the Religious News Association’s 2018 Chandler Award, which recognizes excellence in student religion reporting.